The sugar industry of Pakistan is one of the largest industries in the country and employs a large number of people in both managerial and blue-collar positions. Consequently human resource management increases in importance even more. The average sugar will employees will more than a thousand people, and managing such a large work force requires extra efforts on part of the personnel management function. Some of the problem faced by this industry are similar to other industries, only larger in scale, while there are other problems that are unique in this industry. Whatever it be, the size of this industry makes personnel management very happening and interesting field here. Most sugar mills are seth-owned; even if they are public, they are controlled by seths, and practice are therefore according to the old seth management style. With the exception of few, there is nor really organized personnel department in these mills, and the personnel functions are performed by the administration department. Decision-making is normally very centralized with very little deligation. The industries faces some very unique problems which are limited to this industry only. One such problem is the seasonal nature of —- industry. Mills onlu function from October to April on the average. This possess serious problem to the human resource management. This as resulted in a lot of temporary workers in the industry. These can be categorize to the seasonal worker, the semi temporary or retainee workers (retained at half the pay) and the daily wage workers. During each season a hord of these workers desends on the mills and there accommodation etc has to be ranged by the mills. Another problem arises because the mills have to be located near the supply of cane. Consequently most mills are located in out-of-the-way locations and getting people to stay. There is a problem, though with the current market situations, people gladly take on the jobs. The employees have to be remunerated for this difficult location though. Most mills have there own colonies to housed their workers. Those that don’t normally pay hefty house rents. Schooling for the children of employees are also arranged by the mills and there are normally schools with in the colony premises. Other amenities like water, electricity and gas etc. are also provided to the employees for free. A very unique feature of sugar mills is there cane department. 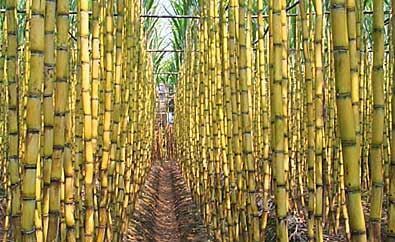 This department is responsible for the development, location and procurement of cane. This is a very essential function of the organization. The strange nature of the job dictates that this function is quite separate from the rest of the department. Staffing of this department is challenge. Those people are preferred who are energetic and willing to work in the field and have good enter personnel skills which are essential requirement because cane procurement is heavily dependent on relation ships. These employees are given transport facilities normally and let out in the field to locate and secure cane. They work at full esteem throughout the year and contrast to the other employee of the mill. For this purpose they are normally given hefty travel allowances. The head offices of most mills are located in large cities like Karachi. This produces the gap between the owners / directors and the management. To counter this, most routine running matters are handled on the spot by the general manager who has full authority. In case of selection that of workers is done at the mills by the G.M. or the personneled department. In most cases officers have to be appointed by the head office. The large work force means that the labor unions are very strong. In some cases, the management / owners put up with this and normally accept their demands. In others, like Al-Abbas Sugar Mills, they have taken the unions head-on. In Al-Abbas a pocket union has been created after destroying the previous union through handball tactics. Another method employed by Al-Abbas and others is creating a lot of officers level positions and reducing the number of workers. A lot of employees who are doing blue-collar jobs have titles of officers, which prevent them from joining the unions. As most of these organizations are run on the seth system, a lot of personnel activities like job design / redesign and performance appraisals are leading formally. Phase functions are informally done, normally by the departments head. These are some procedures however, for training and development. These include on the job training, apprenticeships and internships. Although on the job training is ——- seriously, the same cannot be said about the other two as they are normally done because of legal department. The sugar sector normally gives a lot of benefits to its employees like housing, basic utilities, medical coverage, insurance, graduities, provident funds, schooling for children. There are also lots of bonuses and insentives. The most common is the production bonus is given out at reaching certain level of production. Discipline is normally handled by the mills administrative offices. And, although in some places, out dated punishment are still in use, normally the disciplining is done through suspensions or with drawl of role of incentives. Termination is a very big problem as the union get stay orders from courts and it takes years to resolves the matter. In rules however, the General Manager can terminate any worker. For officers, authorization is normally —- from the head office. There are normally no safety practices except for a fire-fighting squad. However some new mills, for example the Al-Abbas Sugar Mills are introducing safety procedures. These includes training of personnel, provision of safety helmets, lectures about safety training from experts and posted warning around the mills premises. These practices are slowly —- inroads into an otherwise safety-less industry.